Last weekend, my husband and I had a glorious 'staycation' in Chicago. 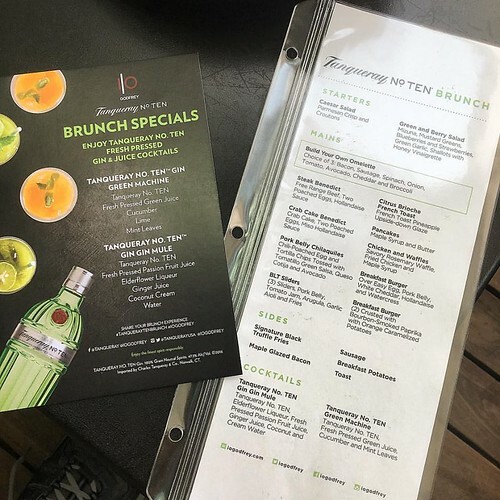 To kick it off, we met up with our friends from Tanqueray for a wonderful and delicious brunch at the Godfrey Hotel's IO Rooftop Lounge. It was a gorgeous Saturday morning with perfect weather to relax and enjoy the open views. If you're in Chicago, definitely make a stop at the IO Rooftop Lounge - the city views are awesome! Brunch included a great variety of dishes from the IO Rooftop Lounge menu. But first, we had to start off with a cocktail! This 'Gin Gin Mule' made with Tanqueray No. Ten is a delicious spin on the Moscow mule. It's a nice cross between a mule and mimosa that's extremely refreshing with passion fruit juice, elderflower liqueur, ginger juice, coconut cream and a splash of water . 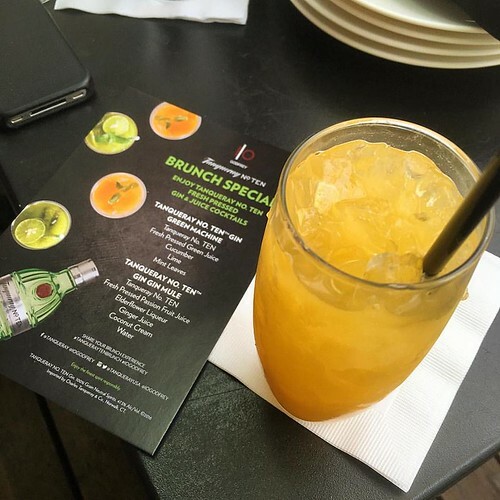 It's so good that IO Rooftop Lounge has added it to their cocktail menu - if you're in the area,it's a must try! 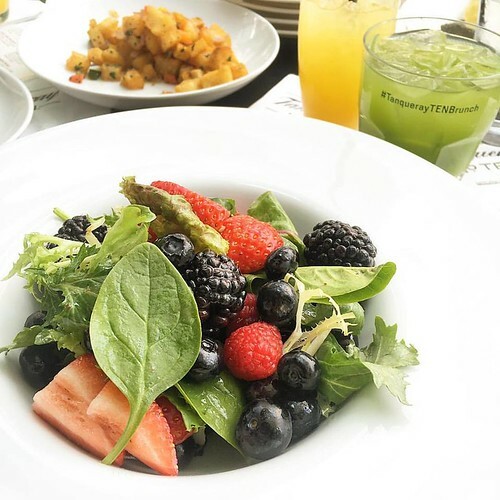 For brunch, I had to whet my palate with a fresh Green & Berry salad, made with mizuna, mustard greens, blueberries, strawberries, raspberries and blackberries. To tie it all together, a shallot & honey vinaigrette dressed the salad. If you know me well enough, I can't pass on the opportunity to have a benedict for brunch! 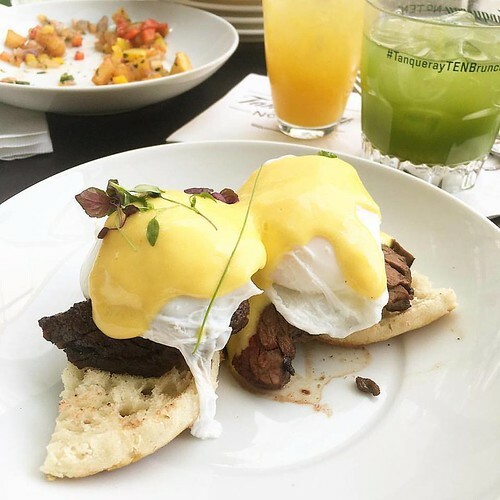 That said, I ended up ordering the Steak Benedict which I loved. 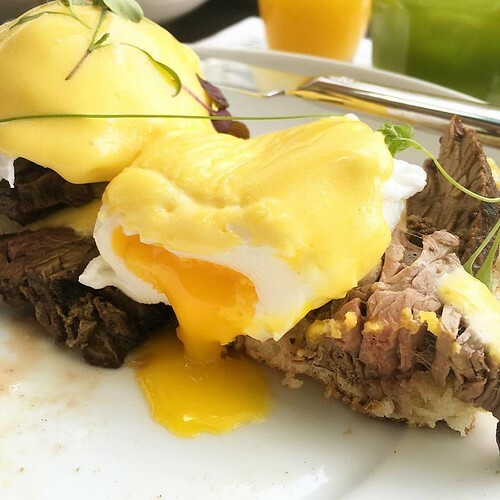 This twist on the classic was made with free-range beef, two poached eggs, and hollandaise sauce. Do you know the best part of any benedict is? It's that moment when you break open that delicately poached egg to let that rich yolk run all over... yesss! Combine Green Machine juice and Tanqueray No. TEN in a shaker and stir. 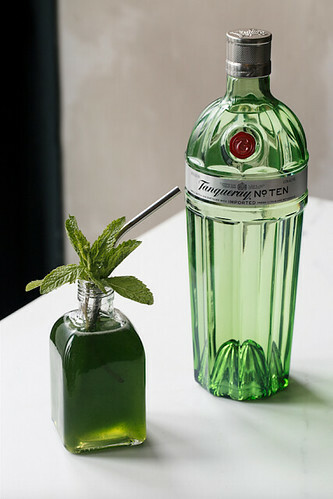 Strain over ice and garnish with cucumber slices, lime and mint sprig. 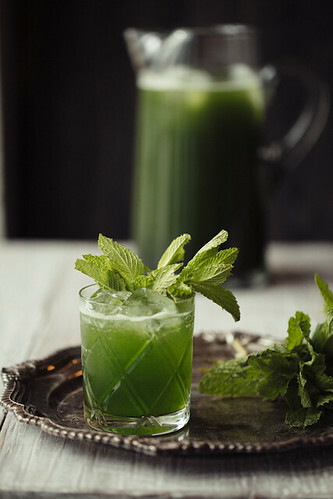 * You can also make your own green machine juice by combining fresh kale, spinach, apple and lemon in a blender until smooth and using 3oz for the cocktail above.